Track Selection 1: Confab In Tempo – Rollins! Track Selection 2. AloneTogether – Wynton Kelly! Starting with the Zoot Sims 1951 recording a couple of posts back, we shift up a tad to 1954. Rollins guest appearance, and the Farmer tone is liquid gold. 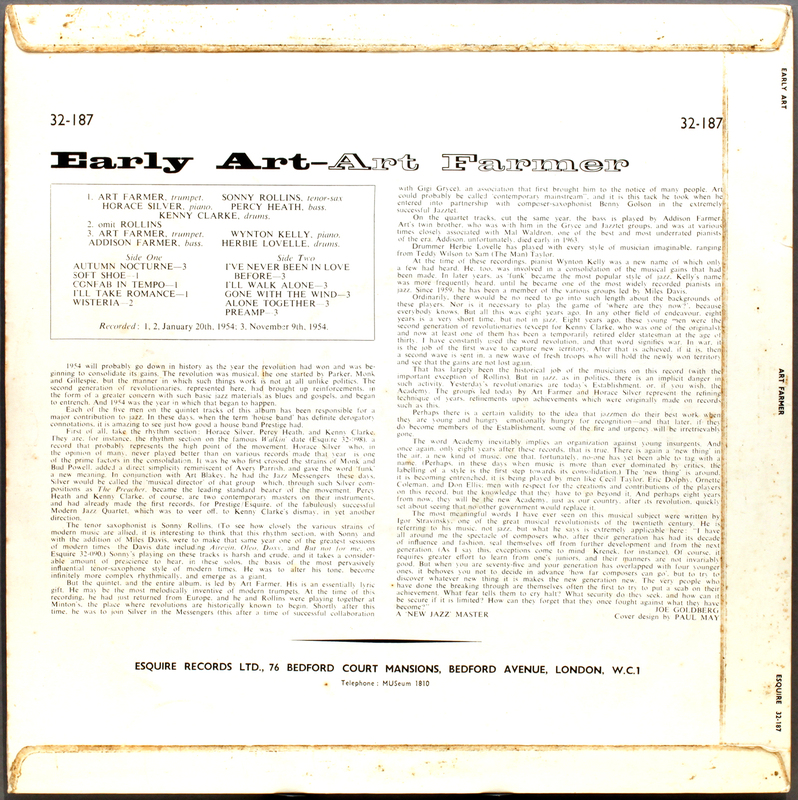 Short tracks as was customary for early Fifties recordings, so two short selections. 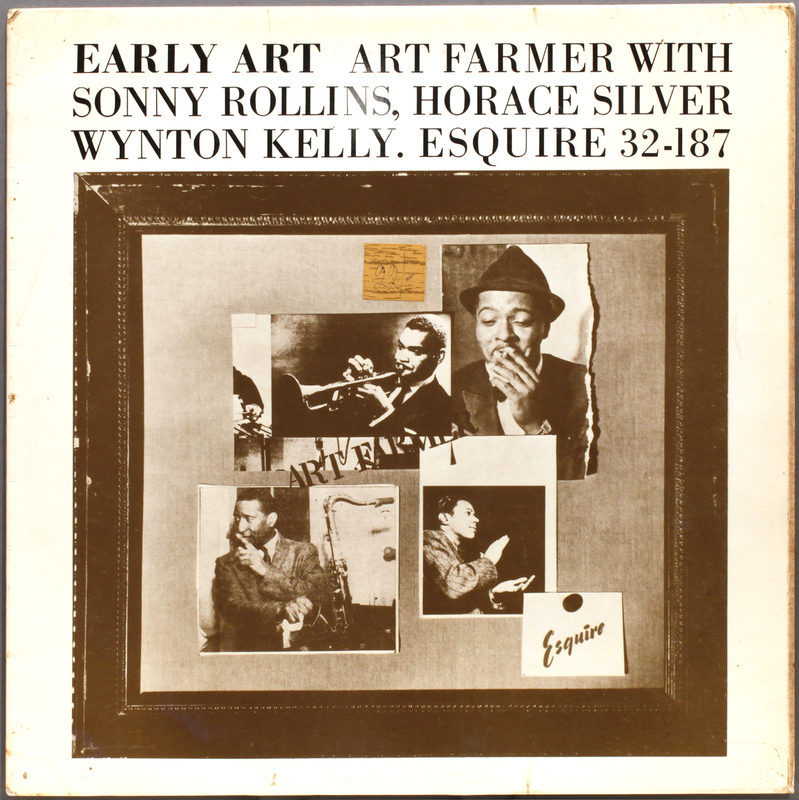 Rollins is a brief reminder of the restless fast paced melodic lines at this time, still under the shadow of Parker, whilst both the Horace Silver and Wynton Kelly contributions are professionally executed bop piano of great warmth and character. An enjoyable outing, early or late. Original Prestige cover, Great! Communicates the vitality of the music and physical presence of Farmer. UK cover, memory lane family album dusty museum piece – literal interpretation – “its old stuff”, strictly for old-timers and archivists. Rubbish cover, I don’t know why I expect any different. 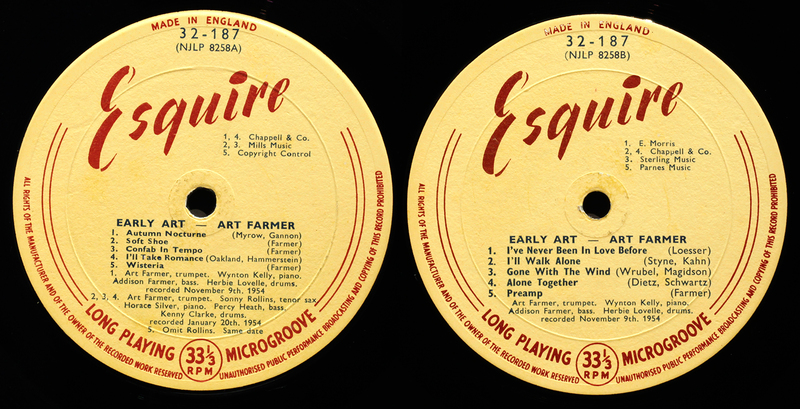 The Esquire catalogue 32-187 number is one of the very highest in the series before Esquire failed, so it would have been released around 1962-3. Early Art, but late Esquire. Published just before some last minute required updates had been …ummm ….updated, now in the shape intended. Email subscribers will notice some small changes in the final version. Apologies. Mrs LJC distracted me, then Skype kicked in with a video call from a relative, and in the ensuing confusion the wrong button was pushed – “publish” instead of “update”. They look the same. Apology over, move on. 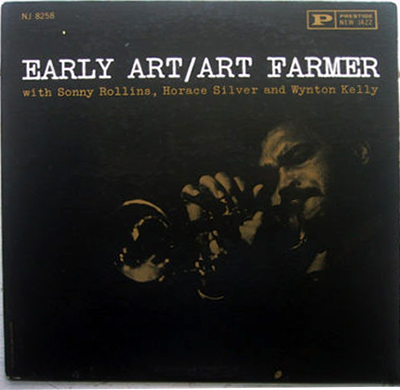 This entry was posted in Art Farmer, Esquire and tagged Art Farmer, Esquire, Horace Silver, Kenny Clarke, percy heath, Sonny Rollins by LondonJazzCollector. Bookmark the permalink. does anybody know what pianos were in RVG’s studios. Kelly sounds magnificent here. Thin, I should think not.